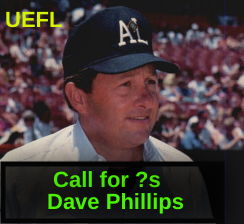 The Plate Meeting, a LF Umpire Podcast from CloseCallSports.com announces its next guest, 31-year American and Major League Baseball umpire Dave Phillips, who called three Division Series, six League Championship Series, and four World Series before retiring from MLB in 2002. Dave concluded his career with 83 ejections, from his first, Reggie Jackson on May 29, 1971, to Larry Rothschild in 1999, including an A's-Brewers brawl on August 24, 1993, started in part because Tony LaRussa wouldn't stop arguing balls and strikes. Ask Dave your questions here and stay tuned for the show at the end of the month! The Plate Meeting, a Left Field Umpire Podcast is Close Call Sports & Umpire Ejection Fantasy League's official audio forum for umpiring-related issues, including analysis or other conversation pertaining to plays, ejections, rules, and more. To subscribe to The Plate Meeting, and to listen to all of our previous episodes and interviews with umpires such as Jim Joyce, Rich Garcia, Jerry Crawford, Gary Darling, Dale Scott, and Bob Davidson, visit our Anchor.fm page, or search for us on Apple Podcasts/iTunes, Spotify, Radio Public, and Google Podcasts. Follow us on Twitter 🐦 (@UmpireEjections) and like us on Facebook 👍 (/UmpireEjections).